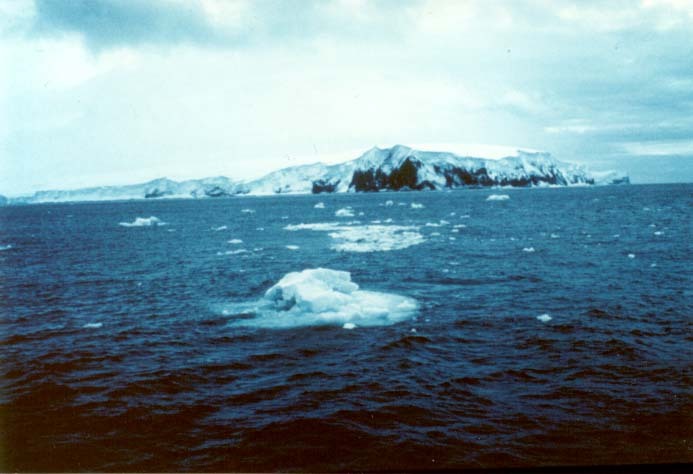 Balleny Islands, December, 1965. 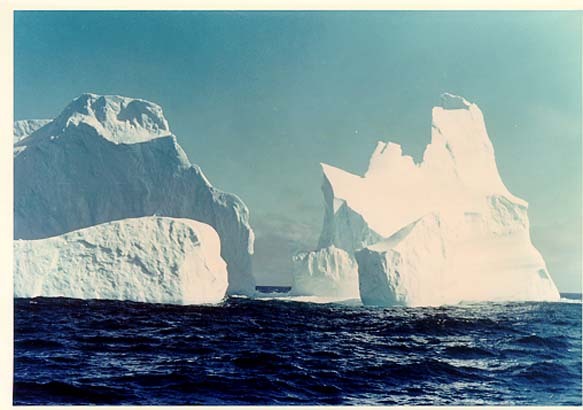 We crossed the Antarctic Circle on Christmas Day. 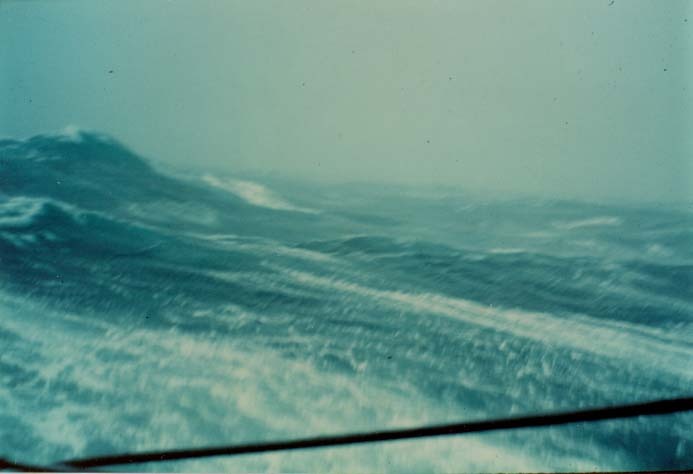 Typical sea conditions during the Antarctic storms. 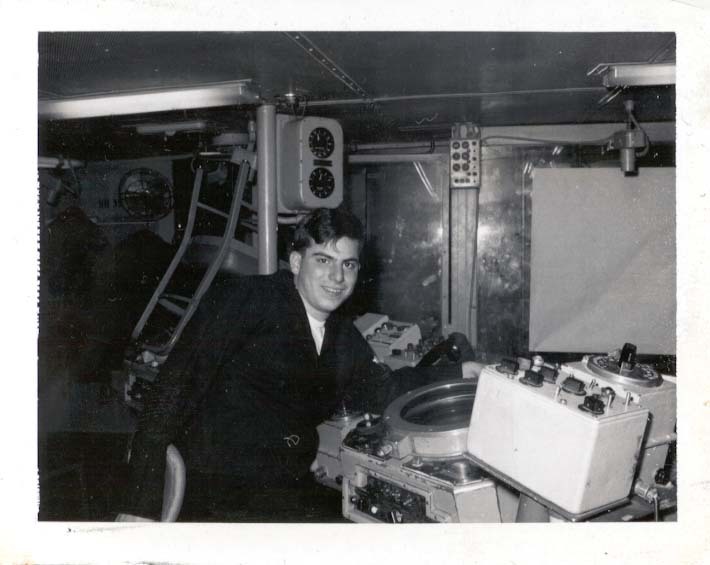 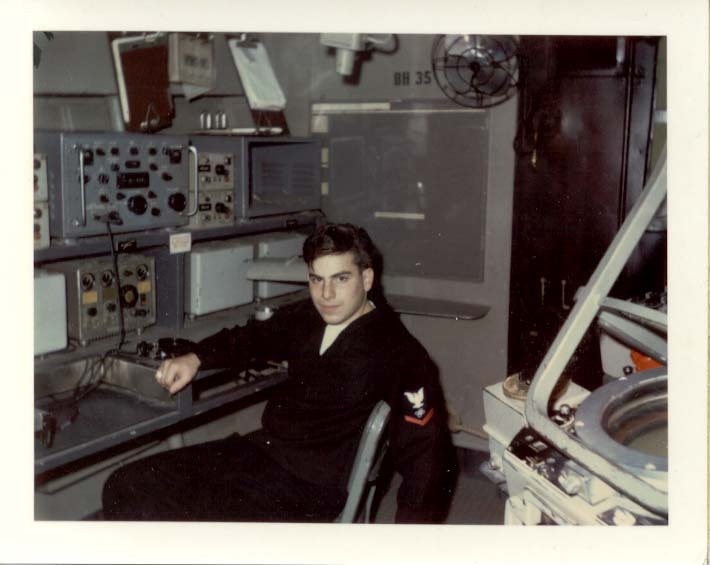 During a 60 South picket Bell, RM-3 and I were on the starboard side of the 01 level (outside of Radio Central). 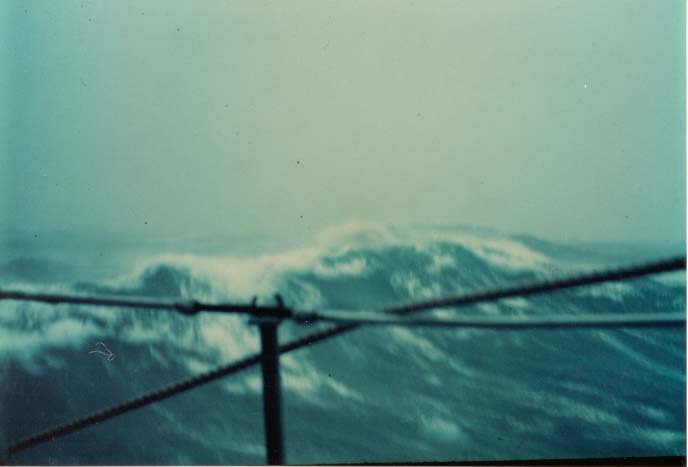 The ship took a sharp roll to starboard just as I snapped the photo. 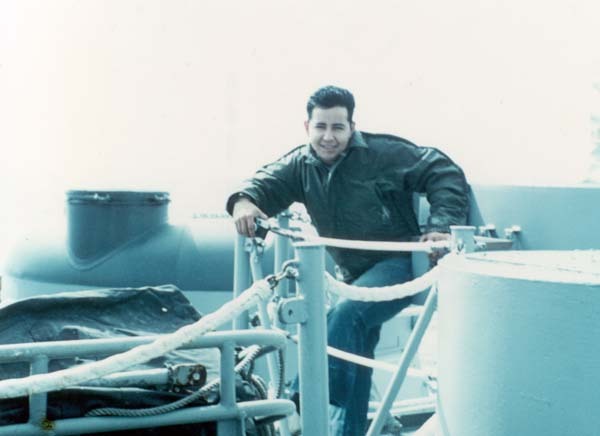 The ship continued rolling, a split second later Bell wasn't smiling as we both held on till the ship rolled to port. 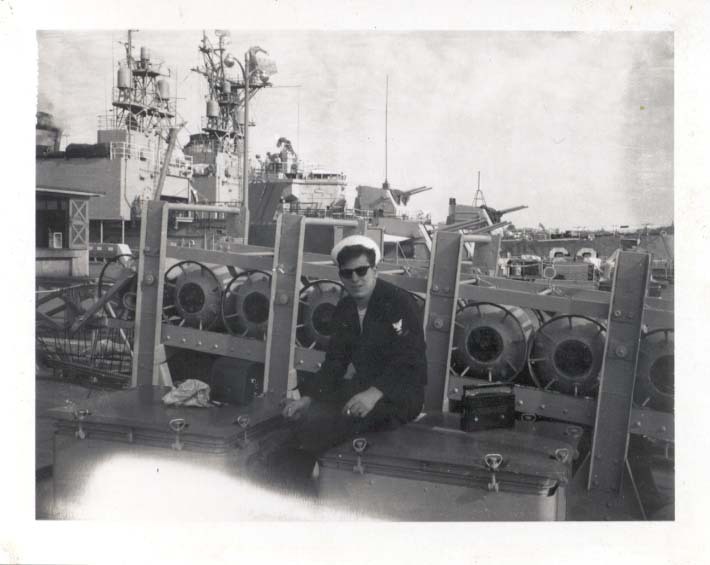 I member taking this photo from the deck of the USS Calcaterra, Dec. 1965. 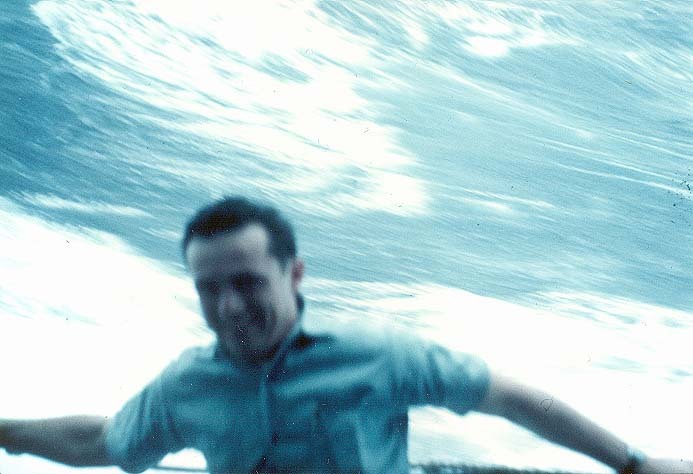 It's one of my favorites.